Every sport has its peculiarities and unique competition structure. To explain the fencing competitive structure, we’re going to start at the top and work our way down. Where people get confused is where these competitions feed into one another. First off, local fencing competitions are out of the loop – they do not feed into the other levels of competition. Regional and divisional competitions feed into the national competitions. For now, you just need to know that regional and divisional create a path to national and that local competitions aren’t in that loop. If you want to learn more about how that process works in terms of how a fencer can qualify, you’ll find everything you need to know about qualification in our infographic. 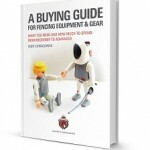 It’s important to note that the USFA makes periodic changes to both the structure of the fencing tournament system in the United States and the way that these tournaments are connected (i.e. qualification paths). The basic structure is not going to go anywhere, but the particulars within that structure are malleable. Now onto the explanation of how each level of competition works. The highest level of competition are the national level. This is the big one in America, where the best fencers in the U.S. come together to test their skill. You MUST be a U.S. citizen or permanent resident in order to compete in USA Fencing Nationals. You do not have to be a U.S. citizen or permanent resident in order to compete. National level fencing competitions challenge fencers to become the best they possibly can be. These fencing tournaments bring together athletes from across the country, offering them the opportunity to see what fencers everywhere in the United States are doing in terms of technique, training, and style. This level of competition is palpably different than anything else you’ll find in tournaments in the United States, and they truly are something worth pursuing. Fencers walk out of national level competitions with a sense of pride, no matter how they placed or what their performance was on the strip. Being a part of a national level tournament is powerful, and incredibly worthwhile. NAC’s are the only national level competitions that do not require qualification, only age eligibility. For the other national level fencing competitions (i.e., championships and July Challenge), ONLY fencers who QUALIFY for national tournaments can compete. Unlike most of the other tournaments below, a fencer cannot attend USA Fencing Nationals, the July Challenge, or the Junior Olympics unless they have qualified for them via one of the qualification paths. You’ll find everything that you need to know about how to do that in our infographic! Qualification happens through regional tournaments, divisional tournaments, or NAC’s via either a straight qualification or a point system. The Junior Olympics are connected to international competitions – the Junior and Cadet World Championship, Division 1 Championships are connected to Senior World Fencing Championship and Veteran age championships are connected to Veteran World Fencing Championships. That means that each of these championships serve as a last qualifying event to earn points and get to the respective world team. The next level of competition is the regional level. Regional competitions take place in cities across the United States. There are six regions into which the country is divided, and each region has its own tournaments that cover the entire area. However, fencers do not have to live in a specific region in order to compete in its tournaments. Multiple times each year, regional circuits are held. How often they happen can vary from year to year, and the timing also differs from region to region. As in national championships, there are three levels – Seniors, Juniors/Cadet, and Youth. Fencers of any nationality may compete in regional circuits. You do not need to be USA citizen or permanent resident to compete at the Regional level. The only national points tournament in which newly aged in cadet/juniors can compete. Prior to SJCC, it was impossible for juniors and cadets to get any national points due to the lack of NAC’s after the Junior Olympics. This new set of tournaments will change that. Regional tournaments offer fencers the chance to compete in mid level competition between the local and national levels. This is by far the biggest competitive circuit in American fencing, and it’s where fencers learn how to compete well. In many ways this is the training ground of our fencing champions. The regional nature of these tournaments means that fencers learn how to navigate performing while they travel. Because they are in the general area of the country that a fencer lives, they aren’t as expensive to get to or as difficult to travel to as national competitions. When a fencer wants to take it to the next level, regional competition is where they go to do it. Regionals are point awarding tournaments that propel fencers further towards national tournaments. Super Circuit regionals award national points while other regional tournaments award regional points. Each fencer, regardless of their rank or qualifying age, can participate in these tournaments and earn points. Qualification point requirements depend on the level and age categories that tournaments are divided into. The next level of competition is the divisional level. Divisional competitions take place in cities across the United States in every division. Division is the primary governing body for the local fencing community. Divisions sanction fencing tournaments, create set of specific regulations for that fencing community, and run divisional qualifying events for several championship types. lThere are many divisions into which the country is divided, and each division has its own tournaments that cover the entire area of divisional jurisdiction. Fencers must belong to that division in order to compete in its qualifying tournaments. Divisionals offer fencers the opportunity to fence on a high level while also potentially leading them to national championships. It’s the one time nature of these competitions that makes them something truly extraordinary, because fencers at this level are then able to get into a national level competition without having to chase points across a season. And with that comes a flip side of the divisional qualifier – only top 25% would qualify. For many fencers, divisional qualifiers are the best way to get into a national tournament. Divisionals connect to national level competitions as qualifying path for those competitions. Aside from that, they exist on their own and apart from the rest of the tournament system. Local competitions are where we all begin! These tournaments happen all over the place, near fencers everywhere. Any fencing club, school, section, or sponsoring organization can host a local fencing competition. These tournaments may or may not adhere to the strict fencing regulations of the USFA. Unsanctioned local events do not provide fencing ratings for those who compete, but even unsanctioned fencing competitions allow fencers to grow through the sport. These events are very important developmental events since they provide a great level of competitive experience to local fencers. Some local tournaments are organized in the series of events over the course of the season and together they provide a fantastic opportunity for fencers to grow. Every fencer starts with local competitions! They are perfect for fencers who want to compete but don’t know yet if they are interested in the commitment of the bigger competitions. And that’s ok! We want to see fencers getting the good progress that comes with challenging themselves, no matter what level they fence at. That first competition is an amazing feeling for a fencer. Local competitions aren’t connected to other tournaments at other levels, but they are networked together in some respects. For instance The Bay Cup in our area is a circuit of local competitions. The Bay Cup is a non-profit organization that coordinates a series of fencing tournaments within the larger San Francisco Bay Area. They vary widely in terms of size, and are hosted by local fencing clubs. This table is a final way for you to see how the network of fencing tournaments in the United States works. There are so many competitions that it can be hard to visualize how they all fit together. Of course there are lots of details, but this is the basic overview! Even though you’ve read this post, you might not fully understand everything yet because there is so much to it! Please check out our additional posts on fencing competitions to learn more, as well as our fencing qualification infographic. We do want to point out that any fencing competition, whether it feeds into another higher level or not, gives the competitors who participate a sense of pride and accomplishment. As fencers, it’s important for us to balance ambition with healthy goal fulfillment. What we’re looking for isn’t a shelf of trophies – it’s a sense of pride in the progress that we have made as fencers through our self discipline and hard work. The tournament system is not designed to crown winners, but to give fencers the opportunity to challenge themselves and grow through the sport. It’s important to always remember that fencing tournaments are at their heart about camaraderie and becoming a better fencer, and a better person! 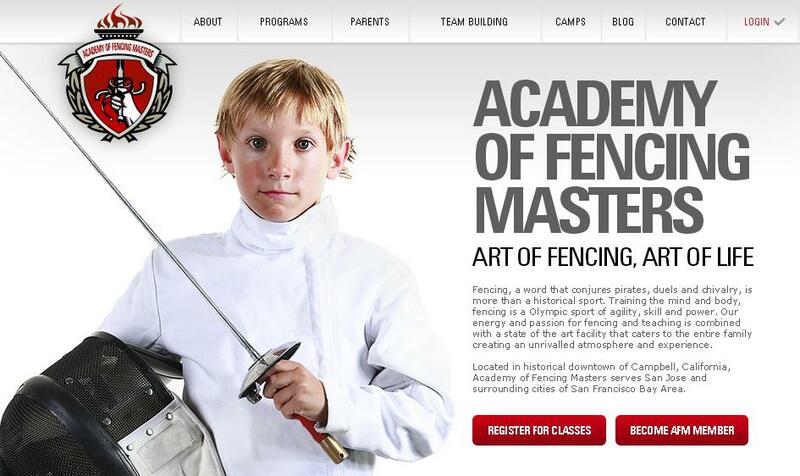 You wrote “fencing in America is governed by the USFA – United States Fencing Association.” We’re USA Fencing. You wrote “Unsanctioned local events do not provide fencing ratings for those who compete…” Fencers receive classifications. Refs are rated. I have never heard somebody says “C-classified fencer”, it is always “C-rated fencer”.